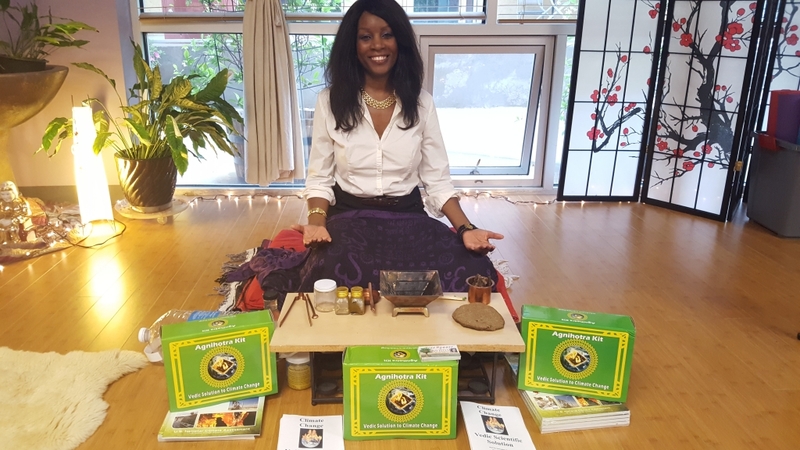 My name is Dee Doanes and I’m an environmentalist, custodian of Shanti Atlanta Agnihotra and Meditation Retreat (located in Conyers, GA), certified Ayurveda Stress Therapist at Shanti Atlanta Ayurveda Stress Clinic, Agnihotra teacher, holistic health expert, writer, and public speaker . Agnihotra is an Ayurveda practice that has transformed my life! I walked away from a lucrative business in public relations to focus on teaching Agnihotra. My focus is on teaching Agnihotra, meditation, Kriya yoga, holistic health, wellness, cultivating my spiritual development, and showing others how to practice love everyday. You may have seen online where some people call me “The Tree Hugger in High Heels.” Ha! I guess that nickname has stuck with me since I’m tall and sometimes wear heels. You can find me on: Google+ , Twitter, Facebook, and Pinterest . My friends and my mom had always told me that my natural health knowledge should be shared with the world and not just people I knew. After my mother’s death from leukemia I decided to start Health Plus Lifestyle and share my health tips by blogging every week. 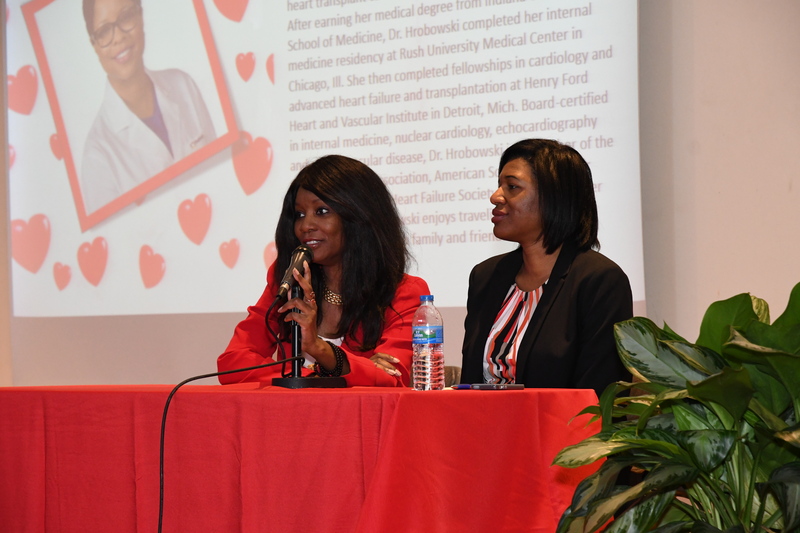 Health Plus Lifestyle expanding to social media outreach, public speaking, volunteer work, and me being a marketing and public relations consultant to health and wellness companies. On this path, I deepened my knowledge of alternative healing modalities, tuned in to Mother Earth. and became a student of Vedic Master. Sri Charles. 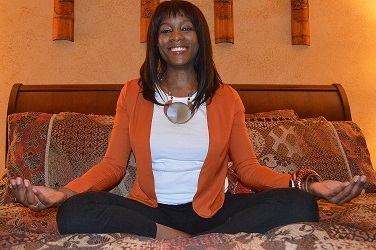 God led me to start Shanti Atlanta, which blended in seamlessly with Health Plus Lifestyle. Shanti Atlanta is an extension of Shanti Villa Institute, my teachers eco-Center in Tuskegee, AL. I know my mother’s spirit is here with me, happy for the journey I’ve taken. You’re on this site to learn about alternative/holistic health and environmental issues. I want you to learn ways to have a healthier and happier life, and tap into the connection between the Earth, Mind, Body and Spirit. You can’t have complete health without the combination of these four things. 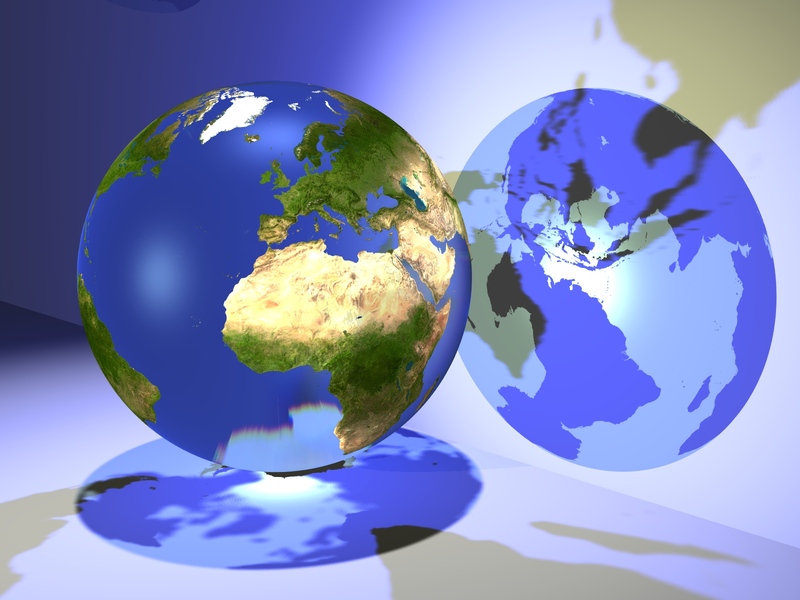 I will show you ways to help combat pollution and take care of the Earth. I love teaching about environmental and climate issues. After all, a healthy Earth means a healthy you! If the Earth is polluted, then how can you expect to grow healthy food that keeps you healthy? Take Action Now! Put solar panels on your home. Contribute to my community outreach work for climate change and environmental awareness. Don’t look to me as the expert of YOUR health. I encourage you to try different things and find what works best for you to achieve good health. Keep in mind that anything I recommend is what works for me or others, and may not work for you. Tweak your alternative health plan as you take this journey with me. Remember, this is YOUR health journey. Learn all you can to become your own health expert! I’m all about teaching and learning as much as possible. Especially the learning part. All teachers are students and all students are teachers. I believe that healing the body naturally should always be the first and continued course of treatment, but I’m not opposed to medical doctors that practice integrative/functional health care. Read below, read below, read below! I’m very much into living healthy but every once in awhile… I…um…must confess to having a weakness for key lime pie and other sweets. There is no such thing as “being on a diet.” Good health is about having a good diet and having a healthy lifestyle. Yes, that means you can’t eat potato chips and cheesecake every day if you want to be healthy. I am a published paranormal mystery fiction writer and fine art and nature photographer. I am a Trekkie! I have a mostly vegetarian and vegan diet. I’m active and love yoga. 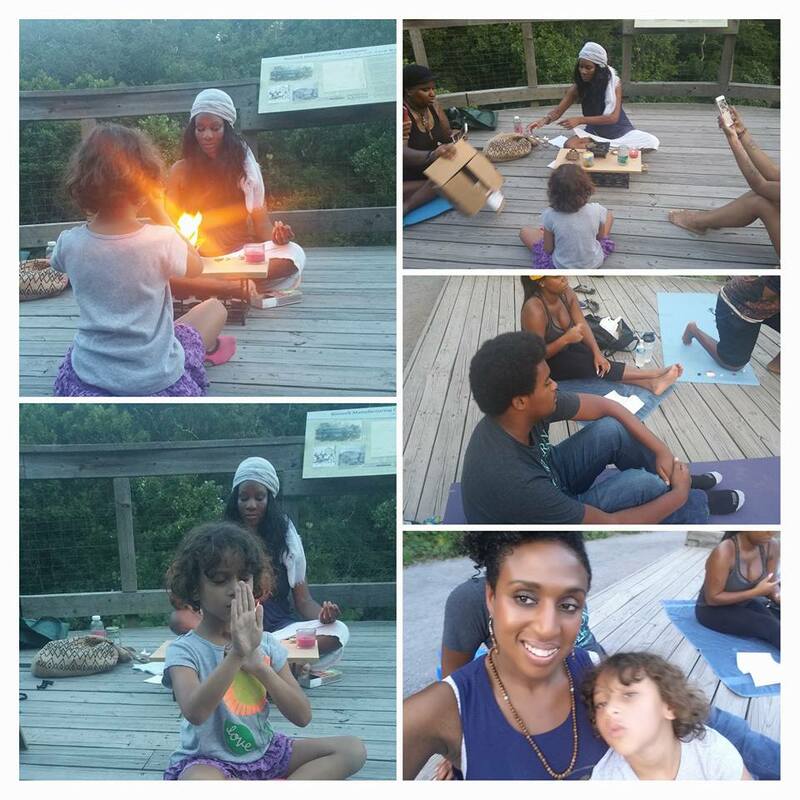 Me teaching and performing Agnihotra at Roswell Waterfall. See how happy the little girl is from participating?! Hobbies/Interests: I love the outdoors, organic gardening, recycling/reusing, sustainable living, tiny houses, preserving the environment, reading, writing poetry, modern dancer, travel, theater, classical and jazz music, volunteer work. Love this FREE permaculture design course from The Regenerative Living Institute . Former board member of The Action Not Words Project , an Atlanta grassroots nonprofit. We started Ujima Gardens Urban Farm at the Cedar Seeder Farm in Snellville, GA (formerly in the City of Lithonia Park.) This project was great for the environment and people in the community. I encourage everyone to make healthy food available to those living in food deserts, do volunteer work , and help other people live better lives. Thanks for stopping by. Enjoy! Namaste.